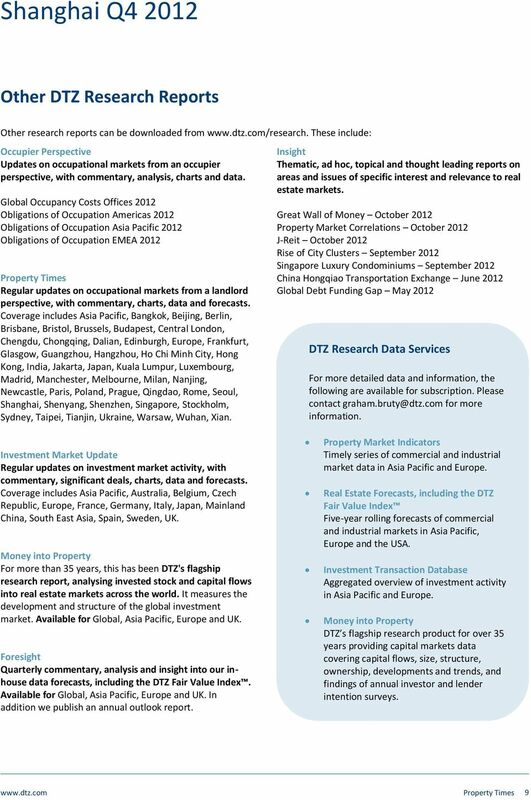 Download "DTZ Research. 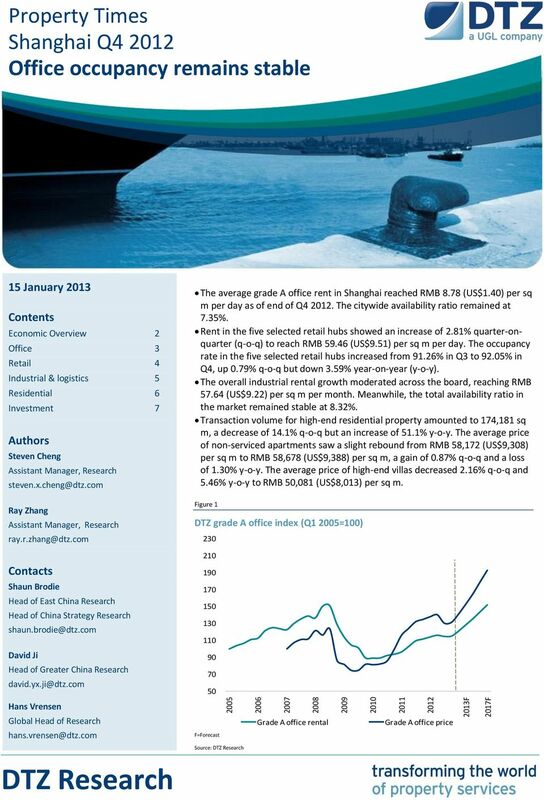 Property Times Shanghai Q4 2012 Office occupancy remains stable hh. 15 January 2013. Contents. Authors. 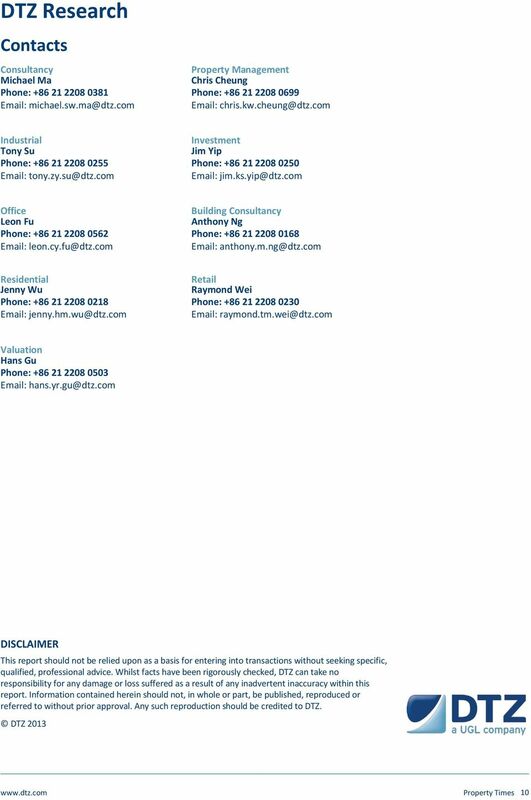 Contacts"
DTZ Research. 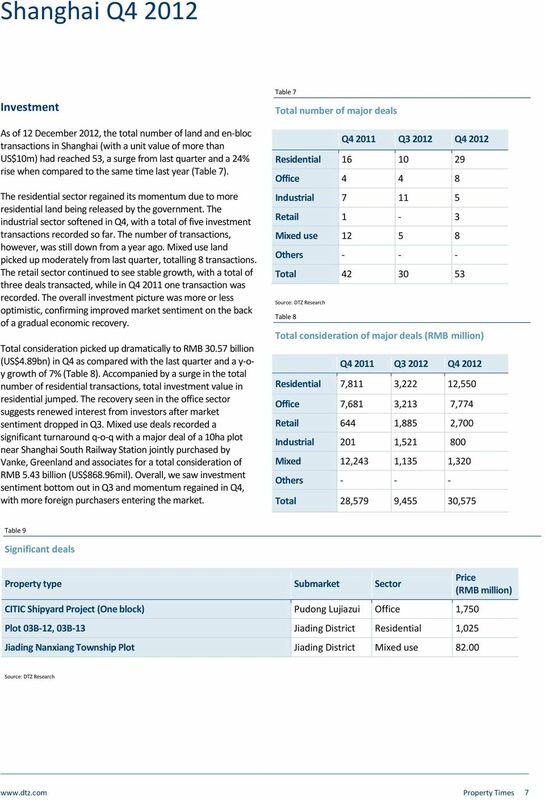 Property Times Stockholm Offices Q3 2012 Weak fundamentals cast a shadow on outlook. 8 November 2012. Contents. Author. DTZ Research. 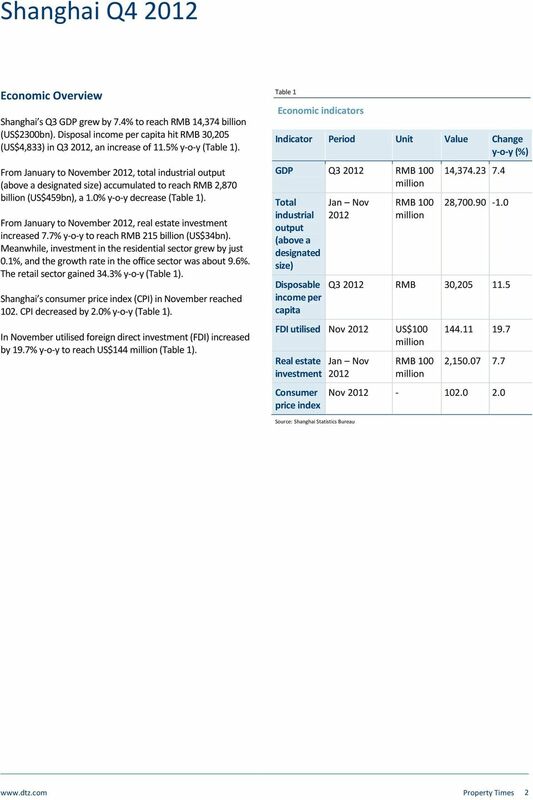 Investment Market Update Poland Q4 2013 The largest investment volume since 2006. 29 January 2014. Contents. Author. DTZ Research. 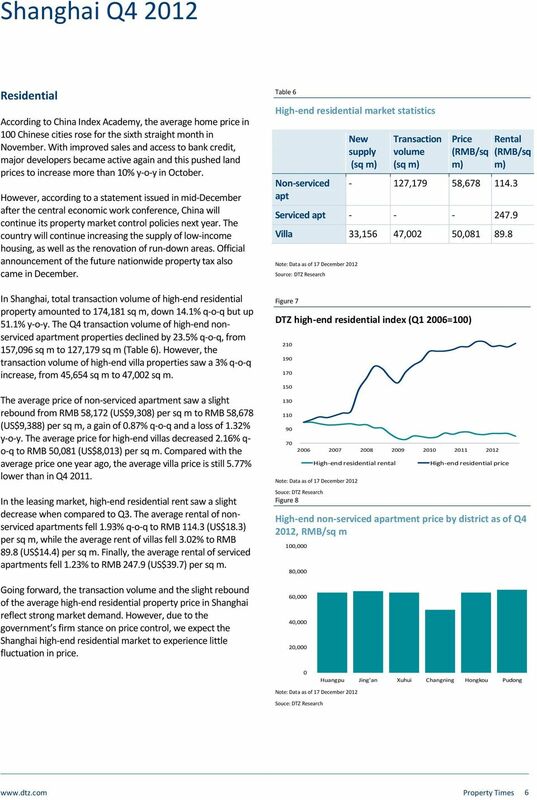 Property Times Stockholm Offices Q4 2012 Prime rents holding up thanks to low supply. 30 January 2013. Contents. Author. 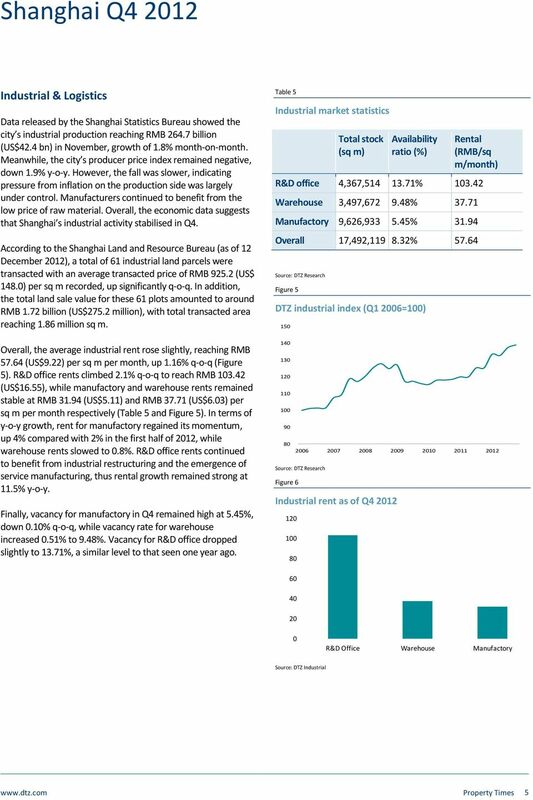 DTZ Research. DTZ Insight Net Debt Funding Gap Shrinking gap means safe to lend against grade C. 25 November 2013. Contents. DTZ Research. 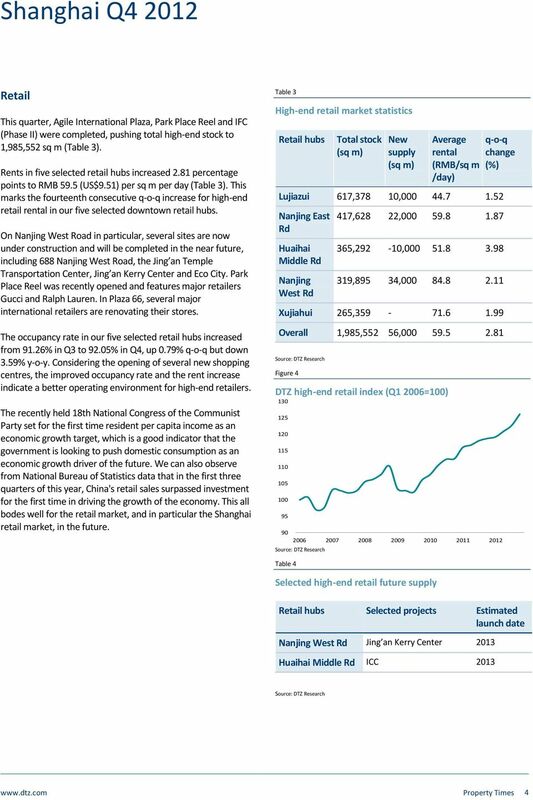 Occupier Perspective Global Occupancy Costs Logistics 2014 SwareQ Asian cost advantages to reduce further. 22 October 2014. We estimate that the value of all world real estate totals around US$180 trillion. 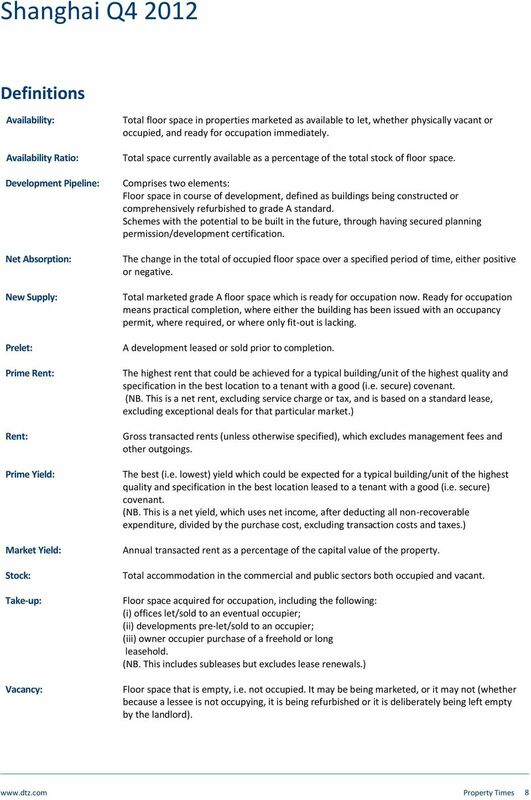 Occupier Perspective Global Occupancy Costs - Offices 2014 Most efficient markets challenged by cost increases. London City. 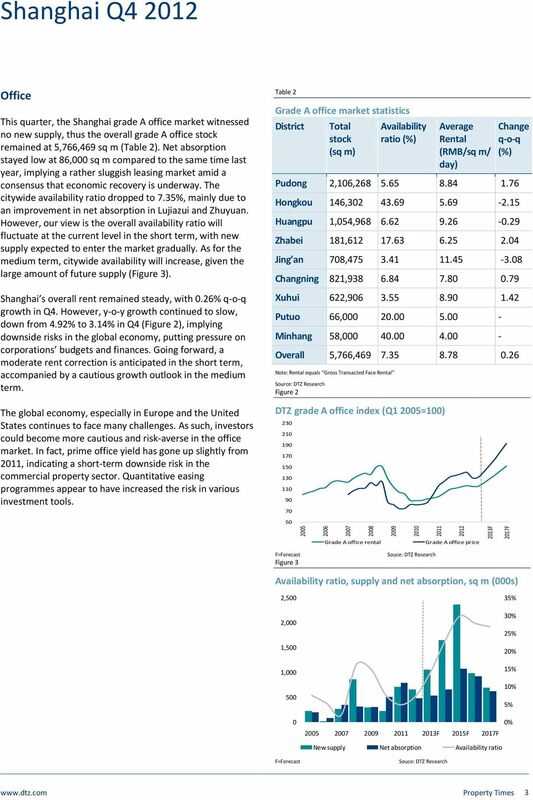 DTZ Occupier Perspective The TMT Sector The new growth engine in search for space. The new growth engine wants space. Figure 1 1,000.